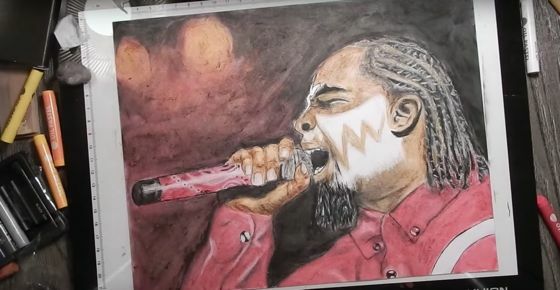 Tech N9ne has become a popular figure amongst the world of fan art. Tech’s detailed face paints and unique outfits have given artists from all over the world the inspiration to draw something up. Vette Yates is the latest to add to Tech’s art collection, bringing us his own detailed version of Tech N9ne as the King of Darkness. If you’re looking for something to draw over the weekend, this should give you some inspiration. What other Strange Music artists would you like to see fan art of? Let us know in the comments section below and send any fan art to fans@strangemusicinc.com!